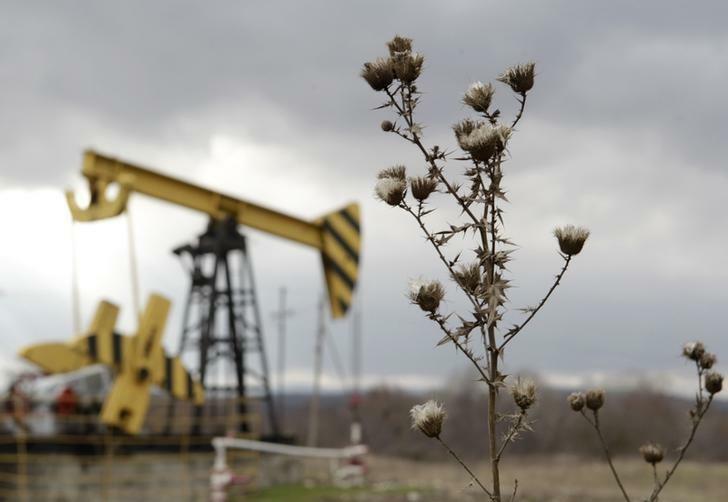 LONDON (Reuters) - Massive downward revisions to oil output in Brazil and Iraq have increased the risks for oil markets of going from the current feast to famine within just a few years, leading to a price spike that would give a new boost to the U.S. shale industry. With Brazil's Petrobras cutting this week its five-year production outlook by 1.4 million bpd in response to low oil prices and the ongoing corruption probe and Iraq renegotiating deals with oil majors to reflect "more realistic" output targets, the current glut in the oil markets is poised to end sooner than expected. "All these project cancellations and deferral and cut backs are setting the world up for tighter oil markets in the medium term (2017-19) unless the record Middle East oil rig count successfully translates into significantly higher production," said Seth Kleinman from Citi. "Demand will have its say but from a supply perspective it is hard not to believe the seeds of the next price spike are being sown today," Deutsche Bank said in a note on Tuesday. To put the Petrobras revision in prospective - the 1.4 million bpd figure almost equates to the current global oversupply, which arose due to a U.S. shale oil boom and a decision by OPEC to keep its taps fully open to battle for market share with rival producers. Only a year ago, the IEA saw Brazil pumping 3.7 million bpd by 2020 and Iraq some 4.6 million. On Monday, Petrobras, responsible for most of the country's output, said it will pump only 2.8 million by 2020. "I call this the shale wagging the dog scenario – as shale can work in a prices below $70 per barrel but much of the rest of the industry does not... It is a bullish scenario for 2017/18 time period," said Citi's Kleinman. But the developments will likely further strengthen the agency's belief that OPEC would need to produce much more crude to balance the markets. The IEA's long-term outlook sees the need for OPEC crude to rise by 6 million bpd in the 2020s and by the same amount again by 2030 - effectively meaning the world needs to add another Saudi Arabia to its supply.